Section 1.0 Power Supply Basics. Basic functions of a power supply. Safety aspects of working on power supplies. Section 1.1 Transformers & Rectifiers. Section 1.3 Power Supply Basics Quiz. 1. It changes (in most cases reduces) the level of supply to a value suitable for driving the load circuit. 2. It produces a DC supply from the mains (or line) supply AC sine wave. 3. It prevents any AC from appearing at the supply output. a. The AC supply voltage at the supply input. b. The Load current drawn from the supply output. Power supplies in recent times have greatly improved in reliability but, because they have to handle considerably higher voltages and currents than any or most of the circuitry they supply, they are often the most susceptible to failure of any part of an electronic system. Modern power supplies have also increased greatly in their complexity, and can supply very stable output voltages controlled by feedback systems. Many power supply circuits also contain automatic safety circuits to prevent dangerous over voltage or over current situations. The power modules on Learnabout-electronics therefore introduce many of the techniques used in modern power supplies, the study of which is essential to an understanding of electronic systems. If you are considering building or repairing a power supply, especially one that is powered from mains (line) voltages the power supply modules on this site will help you understand how many commonly encountered circuits work. However you must realise that the voltages and currents present in many power supplies are, at best dangerous, and can be present even when the power supply is switched off! 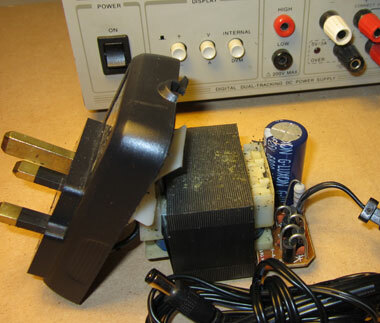 At worst, the high voltages present in power supplies can, and from time to time do KILL. The information provided on this site will not alone, qualify you to work safely on power supplies. You must also have the skills and equipment to work safely, and be fully aware of locally relevant health and safety issues. Please act responsibly, the author of this information and owners of this site will accept no responsibility or liability for any damage or injury caused to persons or to any third parties, property or equipment arising from the use or misuse of the information provided on the learnabout-electronics web sites.